One of the petition’s main concerns is the future of Shattuck Observatory, one of the oldest surviving college observatories in the country. The petition’s authors write that developing the area around the observatory, which is located on the edge of College Park, could result in the observatory being destroyed or rendered ineffective due to increased light pollution from new buildings. Signed by students, professors and alumni, as well as other individuals with connections to the College, the petition was organized by members of the physics and astronomy department, which originally raised concerns about the College Park plan in an Oct. 17 letter to College President Phil Hanlon. The department plans to deliver the petition to executive vice president Rick Mills during its faculty meeting on Jan. 16, according to physics and astronomy professor Miles Blencowe. “We hope that once [the administration has] seen this very significant outpouring of concern and love for this park and the buildings there, that they will realize they have to think harder about finding other places for essential dorms,” said Blencowe, who helped draft both the October letter and the petition. Blencowe said that after the College made its announcement on Sept. 20, supporters chose to circulate the petition as word spread through November and December about the proposal and potential threat to the observatory. Blencowe said he initially shared the petition with about 70 people and expected only a few hundred signatures to the petition, so he was surprised by how many people have signed on. Because signees could add personalized comments to the petition, Blencowe said that he has found the document to be an “educational experience” as a variety of people shared their viewpoints on College Park and the observatory. He added that he has not heard any additional information from the administration since sending the October letter to the president. In an interview, Mills emphasized that the plans for College Park is still in an early conceptual phase, and that no final plans have been made to build on College Park. He said that he views the petition as a good thing because it will help inform the administration about the concerns held by faculty, alumni and students before any further planning for the site occurs. 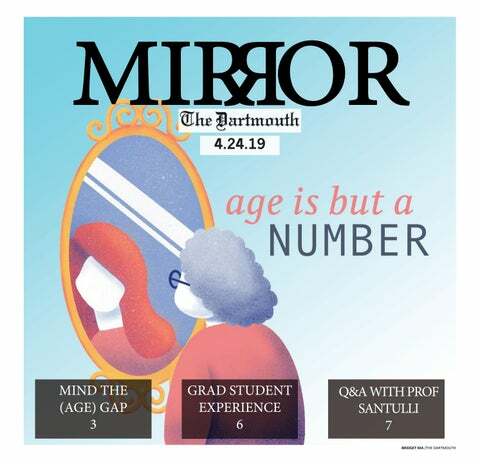 “Part of the goal of the exercise is to understand, what are the things that would affect Dartmouth’s use of that land, what things would we need to take into account [and] how would we need to think about it?” Mills said. Despite the concerns raised, however, Mills said that there are benefits to the College Park site, including its proximity to the center of campus and potential for opening up a “corridor of activity” between the northern and eastern sections of campus. He added that while other, smaller sites are being considered for development, College Park would have the most space to build a cluster of dorms in the spirit of the housing community concept. When asked about the potential threat to Shattuck Observatory, Mills said that the conceptual designers are aware of the observatory’s importance and that more study will be needed before any final decisions are made. Noting both the historic and scientific concerns raised by the petition, Mills said that it is possible the observatory could be relocated or rebuilt at a different location, but nothing has been decided yet. Among the petition’s signees were a number of professional astronomers who expressed concerns about Shattuck Observatory. Sara Schechner, a professor and historian of astronomy at Harvard University, wrote in the petition that the destruction of Shattuck would be an “irreparable loss” for both Dartmouth and historians of science and education. “Something is lost when you no longer have access to a traditional telescope like this,” Schechner said in an interview. Schechner, who is a founding member of the American Astronomical Society’s Working Group on the Preservation of Astronomical Heritage, said that concern over Shattuck’s future has spread through the astronomical community and that the working group plans to discuss the observatory during its meeting on Jan. 8. She said she expects the group will send a letter to Hanlon urging protection of the observatory. “This group feels strongly that this is really a special historic observatory that is worthy of preservation, not just a pretty little building on a hill,” Schechner said. Although most of the petition’s list of concerns directly address Shattuck Observatory and other scientific research activities involving College Park, many of the signees commented on the park’s value as a both a historical and recreational area on campus. Art history professor Marlene Heck, who signed the petition, said that College Park has, for much of Dartmouth’s history, been a place where students can go to decompress and relax from the stress of academic life. She added that the park has always been intended to be a gathering place and natural landscape on campus. “It’s not hallowed ground, but it’s a historic landscape, and I think it is a treasure that Dartmouth still has it,” Heck said. For this reason, Heck said she believes College Park should be off-limits for building new dorms. She added that the College’s current proposal lacks creativity and seems to be a quick solution to the housing shortage problem rather than a well-developed idea. Like Heck, Raphael Hviding ’18, who helped draft the petition, expressed doubt over the College’s awareness of the potential negative effects of the plan. “I don’t think that the administration appreciates all of these concerns, whether they knew about them before or are now going to be aware of them because of this petition,” Hviding said. For Blencowe, the ability for the petition to effectively communicate the concerns to the administration is key. “My hope is that [the administration] will take serious note of the petition, that they will study it, read the comments and they will come to the realization that it was a bad idea in the first place,” Blencowe said.